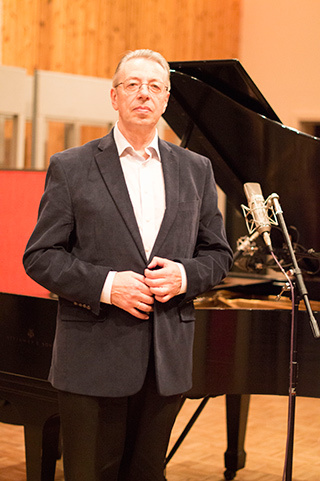 Michael Zeiger is a Russian composer and a concert pianist. Born in Moscow, Russia, Zeiger earned his bachelor’s degree with highest honors at Simferopol Music College. He received a master’s degree in piano and composition at Gorky Conservatory and a Ph.D. in composition at Moscow Conservatory. As a composer, Zeiger’s work includes symphonic, operatic, ballet, vocal, choral and chamber pieces. His compositions have been performed across Europe and the USA. In 1992, he received the All-Russian Composers Union Award and he was named ‘Man of the Year 1992-93’ in Europe by the Cambridge Biographical Center. In 1996, the New York Bachanalia Festival Orchestra commissioned his arrangement for violin and string orchestra of the Suite in the Old Style by Schnittke and was premiered at the Weill Recital Hall. As a concert pianist, Zeiger toured Russia, Germany, France, Eastern Europe and the USA. He made his New York recital debut at the Steinway Hall in 1996 and made numerous solo appearances with the Liederkranz Orchestra New York, the Moscow Cantilena Orchestra and the Voronezh Philharmonic. His chamber music appearances include memorable performances with members of the New York Philharmonic such as violinist Nina Beilina and bass Mikhail Svetlov. Zeiger has been living in New York with his wife Olga since 1995.